Fresh Coat of Sioux Falls is a locally owned professional painting company. Our goal is to provide our customers with a great experience and a great final product. From house painting, to deck staining, to wallpaper removal, Fresh Coat offers a wide range of painting and painting-related services. Your team of professional painters will approach every job with service in mind, working every project as if it were theirs. You can even call us for commercial and office spaces, and since they'll offer healthy options, your painters will have you back to work in no time. You'll get quality and service at a price you can afford. Turtle Bros painting is your interior/exterior professional painting company for the greater Sioux Falls area. Dedicated to providing amazing work and bringing smiles to the customers face. 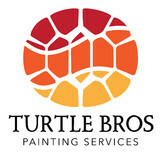 Let the professional painters at Turtle Bros bring some color to your life. Cutting edge, not cutting corners! Cutting Edge Painting provides excellent interior and exterior painting services throughout the Sioux Falls area. Our team of highly skilled professionals are experts in all aspects of residential and commercial painting, providing superior customer service and workmanship. Whether you are in an older building, or just need a fresh start, a fresh coat of paint can do wonders. We cut out the middleman so you can speak directly with the guy doing the job for you. 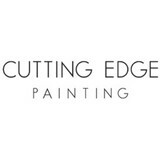 Cutting Edge Painting is going to focus on what you want, down to the smallest detail. We are proud of our work and we look forward to helping you with your next painting project in the Sioux Falls area! At Brushworks Painting, our goal is to provide quality service upgraded into the interior and exterior, residential and commercial painting projects in the sioux metro area. We strive to provide these services in the most timely manner, and with an ongoing comprehensive quality control program to provide 100% customer satisfaction. If you want the best residential house painter or commercial painting contractor, you can count on Brushworks Painting for your next painting project! Brushworks Painting is a dynamic, full service Sioux Falls painting company and commercial painting contractor. We offer you a complete line of professional interior, exterior and commercial painting services. Whether your looking for a bathroom repaint or a multi-million dollar project we have the staff and knowledge to know how to handle your next painting project. With our experienced craftsmanship and exemplary character, we are one of the most respected and trusted painting contractors in the Sioux Falls area. We have been in the painting business since 1999 and have painted 1000’s of homes and businesses so we have plenty of experience in Interior and Exterior House Painting as well as commercial painting. We are an A+ rated member with the Better Business Bureau. At Brushworks Painting, you can feel good about hiring professional painters. Customer Satisfaction is our #1 Priority and we get the job done right and as scheduled. Your painting project will be done quickly with as little impact on your daily routine as possible. We respect your property and time. Other than the beautiful new look of your space, you won’t even know that we’ve been there. Our skilled painters are actual employees of Brushworks Painting, not subcontractors, and are subjected to pre-employment screening. We also have a “no tolerance” drug and alcohol policy so you can be comfortable with us being in your home. The behavior from our staff is always professional, respectful and unobtrusive. 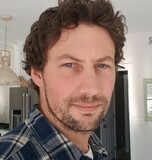 Chris Buseman, the owner, personally comes to each project to insure its success and hires only those employees who live by the same ethical standards. When the house or commercial painting job is complete, he will be on hand to review the project , walk the property with you and personally make sure any issues you might have are completed, and ensure you’re thrilled with the jobs outcome. Times change - and so do our customers' needs. We're committed to inventing, innovating and initiating new systems to meet those needs. We view challenges like reducing costs, meeting strict environmental regulations, and enhancing product performance as opportunities to think creatively. Our expansive history of innovation and technology allows us to uniquely tackle present and future challenges. We serve a broad array of customers and industries.This diversity has driven us to become experts in a variety of coating technologies, including liquid, powder, solvent, water, epoxy, urethane, clear, and opaque. Local paint company focusing on residential and commercial new construction and repaining services in the Sioux Falls Metro area. We have been proudly servicing our community for ten plus years as one of Sioux Falls best painting companies. We were given the opportunity to paint at the feature home at the parade of homes in 2015 and as wel as the lake Lorraine unit featured this year. We have an A+ rating with the BBB. We strive to provide our customers with the best possible paint job at an affordable price on every job. What I like best about my job is the look on our customers faces when they return home from work and it is the look that can paint a thousand words. OMG that is exactly what i wanted.. It makes my day worthwile to provide outstanding painting servces and to provide our clients with exactly what they wanted. I want to know what would make our customers experience a perfect job and try to meet those expectations daily. A Professional Painting Company that serves Greater Sioux Falls, SD. We offer a wide range of interior and exterior painting services, and we approach every project as if we were painting our own home. 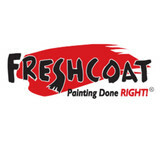 Whether you're looking to have your home painted, or you're wanting to upgrade your office space or business, you can count on Fresh Coat to deliver top quality painting services at a price that you can afford. We can handle all your painting, staining and wood finishing needs, inside or out. We are committed to high quality job and customer satisfaction. Our professionalism and determination of getting the job done right the first time are demonstrated by the care given to you and your home. With more than over 20 years of experience, we know: our honesty in business and a job well done make for happy customers. That is why more than half of our business is from customer referrals. Our attention to detail and work habits, coupled with high integrity, makes doing business with AAA House Painting a snap, whether you are a home owner or a large commercial enterprise. Califan Painting is fully licensed and insured painting contractor specializing in Residential and Commercial Interior and Exterior standard or custom Painting Projects from Repaints to New Construction. Since 1995, we have been serving Sioux Falls, Brookings and surrounding areas. Voted as local best for many years and a history of satisfied, repeat customers, Califan Painting has the experienced know-how tools to help you achieve everything you are looking for in your next painting project. We offer color matching to those who have color picked out from other brands of paint, especially if you wish to use the paints we recommend.